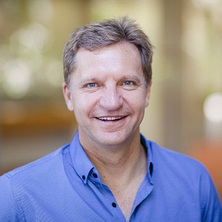 Professor Matt Trau is currently a Professor of Chemistry at The University of Queensland (UQ); and is also Senior Group Leader and co-founder of the Australian Institute for Bioengineering and Nanotechnology. Since graduating from the University of Sydney (BSc Hons I, University Medal) and the University of Melbourne (PhD in Physical Chemistry, 1993), he has held positions in industry and academia across the globe. These include a Fulbright Research Fellowship at Princeton University, USA; and a research scientist at Dow Chemical and ICI Pty Ltd. Professor Trau has been a Visiting Professor at two of the largest Cancer Research Centres in the world: The Dana Farber Cancer Research Institute, Harvard Medical School, Boston (2000); and the Fred Hutchinson Cancer Research Centre, Seattle (2008). Professor Trau is internationally recognised for his innovative and cross-disciplinary research at the interface between chemistry, nanotechnology, biology and medicine. He has co-authored more than 200 refereed publications, many of which appear in the highest impact journals in his field, e.g., eleven Science and Nature family publications. His major awards and honours include an ARC Federation Fellowship (one of the most prestigious scientific fellowships in Australia), a Fulbright Research Fellowship to the USA; a Queensland Young Tall Poppy Award; a UQ Foundation/Vice Chancellor’s Research Excellence Award; a Paul Harris Fellowship; and a Pink Circle Award for breast cancer research excellence. Professor Trau has raised more than $22 million in competitive national and international grant funding in the past 10 years. In the last five years, Professor Trau has initiated and led several large international programs that involve close collaboration between leading nanotechnologists, molecular biologists, geneticists and commercial researchers - with the goal of creating cutting edge diagnostics. These include a $4 million National and International Research Alliances Program (NIRAP) grant from the Queensland government ("International Partnership for preventative and Personalised Medicine)"; and two consecutive $5 million multidisciplinary collaborative grants from the National Breast Cancer Foundation (NBCF): "Novel strategies for Prediction and Control of Advanced Breast Cancer via Nanoscaled Epigenetic-Based Biosensors", 2008-2013; and "Enabling Clinical Epigenetic Diagnostics: The Next Generation of Personalized Breast Cancer Care", 2013-2018. These grants involve research collaborations with some of the highest calibre scientists in the world, e.g., Dr Lee Hartwell (2001 Nobel Laureate) from Seattle was a co-chief investigator on the NIRAP grant, and each of the NBCF grants include leading geneticists, pathologists and oncologists from across Australia and around the world. In the past five years, he has been a consultant for a range of national and international companies such as Merck, Digene, Beckman Coulter, Panbio and A.I. Scientific, as well as being the founder and Director of Nanomics BioSystems Pty Ltd (a spinoff company from his laboratory). Since 2003, Professor Trau has presented more than 60 invited plenary/keynote lectures at major international conferences spanning the disciplines of Chemistry, Nanotechnology, Chemical Engineering, Cancer and Diagnostics. Recent examples include: the 4th International NanoBio Conference, (Seattle) 2012; the 14th International Colloid & Surface Science Conference, (Japan) 2012; "Cancer Nanotechnology" Gordon Research Conference, (USA) 2011; the WA Cancer Conference 2011; Sydney Cancer Conference, 2010. In the past 10 years, Professor Trau has played the role of conference convenor, chair, co-chair and symposium chair for 10 major international conferences. Recent examples include: immediate past chair of the 1st International Conference on BioNano Innovation, (Brisbane) 2012; co-chair of the 5th International NanoBio Conference scheduled for Brisbane in 2014. Microfluidics, nanotechnology and disease biomarkers for personalized medicine applications. Edited by Muhammad J. A. Shiddiky, Eugene J. H. Wee, Sakandar Rauf and Matt Trau United States: Nova Science Publishers, 2013. Wee, Eugene J. H., Shiddiky, Muhammad J. A. and Trau, Matt (2013). Detecting DNA methylation for cancer diagnostics and prognostics. In Muhammad J. A. Shiddiky, Eugene J. H. Wee, Sakandar Rauf and Matt Trau (Ed. ), Microfluidics, nanotechnology and disease biomarkers for personalized medicine applications (pp. 117-132) New York, NY, United States: Nova Publishers. Battersby, Bronwyn J., Grondahl, Lisbeth, Lawrie, Gwendolyn A. and Trau, Matt (2004). Colloids for encoding chemical libraries: Applications in biological screening. In F. Caruso (Ed. ), Colloids and Colloid Assemblies (pp. 507-560) Weinheim: Wiley VCH. Shiddiky, Muhammad J.A., Wee, Eugene J.H., Rauf, Sakandar and Trau, Matt (2013) Preface. Microfluidics, Nanotechnology and Disease Biomarkers for Personalized Medicine Applications, . Trau, M. and Battersby, B. (2009) Biosensing cancer biomarkers. The Chemical Engineer, 820: 30-31. Lawrie, G. A., Battersby, B. J. and Trau, M. (2004) Bioballs: manipulating colloidal nanostructures for biotechnology applications. Applied Nanoscience, 1 1: 17-24. Brodsky, AS, Johnston, AP, Trau, M and Silver, PA (2003) Analysis of RNA-protein interactions by flow cytometry. Current Opinion In Molecular Therapeutics, 5 3: 235-240. Battersby, BJ, Lawrie, GA and Trau, M (2001) Optical encoding of microbeads for gene screening: alternatives to microarrays. Drug Discovery Today, 6 12: S19-S26. Koo, K., Wee, E., Mainwaring, P., Wang, Y. and Trau, M. (2016). Towards precision medicine: A cancer molecular subtyping nano-strategy for RNA biomarkers in tumor and urine. In: 28th EORTC-NCI-AACR Symposium on Molecular Targets and Cancer Therapeutics, Munich Germany, (S33-S33). November 29 - December 2 2016. Vaidyanathan, Ramanathan, Wang, Yuling, Shiddiky, Muhammad J.A. and Trau, Matt (2015). Enabling rapid and specific SERS immunoassay using nano-scaled surface shear forces. In: , , (257-259). .
Wee, Eugene J. H., Koo, Kevin M., Mainwaring, Paul N. and Trau, Mattias (2015). Towards rapid and cost-effective point-of-care detection of TMPRSS2:ERG fusion transcripts in urine via a novel methodology. In: 2015 ASCO Annual Meeting Abstracts. Annual Meeting of the American Society of Clinical Oncology (ASCO), Chicago, IL United States, (). 29 May-02 June 2015. Vaidyanathan, Ramanathan, van Leeuwen, Lara Michelle, Rauf, Sakandar, Shiddiky, Muhammad J. A and Trau, Matt (2014). A Multiplex Device Based on Tunable Nanoshear Forces for Highly Specific Detection of Multiple Protein Biomarkers. In: Proceedings of the 18th International Conference on Miniaturized Systems for Chemistry and Life Sciences (MicroTAS). 18th International Conference on Miniaturized Systems for Chemistry and Life Sciences, San Antonio, TX United States, (1972-1974). 26-30 October 2014. Shiddiky, Muhammad J, Vaidyanathan, Ramanathan, Naghibosadat, Maedeh, Rauf, Sakandar, Korbie, Darren, Carrascosa, Laura G and Trau, Matt (2014). Detecting Exosomes Specifically: a Microfluidic Approach Based on Alternating Current Electrohydrodynamic Induced Nanoshearing. In: Proceedings of the 18th International Conference on Miniaturized Systems for Chemistry and Life Sciences (MicroTAS). 18th International Conference on Miniaturized Systems for Chemistry and Life Sciences, San Antonio, TX United States, (674-676). 26-30 October 2014. Shiddiky, Muhammad J. A., Vaidyanathan, Ramanathan, Rauf, Sakandar, Tay, Zhikai and Trau, Matt (2013). Tuneable "nanoshearing": an innovative mechanism for the accurate and specific capture of rare cancer cells. In: Roland Zengerle, The 17th International Conference on Miniaturised Systems for Chemistry and Life Sciences: μTAS 2013. Proceedings. μTAS 2013: The 17th International Conference on Miniaturised Systems for Chemistry and Life Sciences (MicroTAS 2013), Freiburg, Germany, (26-28). 27-31 October, 2013. Corrie, S. R., Lawrie, G. A., Battersby, B. J., Ford, K., Ruhmann, A., Koehler, K., Sabath, D. E. and Trau, M. (2007). Quantitative data analysis methods for bead-based DNA hybridization assays using generic flow cytometry platforms. In: James L. Madara, Journal of Molecular Diagnostics: Association for Molecular Pathology 2007 Annual Meeting Abstracts. Association for Molecular Pathology 2007 Annual Meeting, The Hyatt Regency Century Plaza Hotel, Los Angeles, California, (699-699). 7-10 November, 2007. Grondahl, L, Keen, I, Raggatt, L, Chandler-Temple, A. F., Cool, S M and Trau, M (2006). Tailoring poly(3-hydroxybutyrate-co-3-hydroxyvalerate) for bone tissue engineering. In: 28th Australasian Polymer Symposium & Aust Society for Biomaterials. 28th Australasian Polymer Symposium & Aust Society for Biomat, Rotorua, (Abstract). 5-9 Feb, 2006. Keen, I., Raggatt, L., Cool, S. M., Nurcombe, V., Fredericks, P., Trau, M. and Grondahl, L. (2005). Response of osteoblast cells to the surface properties of Poly(3-hydroxybutyrate-co-hydroxyvalerate) PHBV. In: 2nd ARC Centre For Functional Nanomaterials Annual Conference. 2nd ARC Centre For Functional Nanomaterials Annual Conference, Maroochydore, (Seminar). Nov, 2005. Grondahl, L., Lutton, C. J., Kenny, B., Cool, S. M., Cassady, A.I. and Trau, M. (2004). Development and in vitro testing of a biodegradable bone scaffold. In: 7th World Biomaterials Congress. 7th World Biomaterials Congress, Sydney, (Abstract). May, 2004. Kumarasuriyar, A., Jackson, R., Grondahl, L., Trau, M., Nurcombe, V. and Cool, S. M. (2004). In vitro analysis of a bioactive, biodegradable material for bone repair. In: 7th World Biomaterials Congress. 7th World Biomaterials Congress, Sydney, (Poster). May, 2004. Keen, I., Grondahl, L., Raggatt, L., Fredericks, P.M., Nurcombe, V., Trau, M. and Cool, S. M. (2004). Influence of solvent on the surface properties of PHBV solvent cast films. In: 27th Australasian Polymer Symposium. 27th Australasian Polymer Symposium, Adelaide, (Abstract). Nov, 2004. Keen, I., Grondahl, L., Cool, S. M., Nurcombe, V. and Trau, M. (2004). Surface modification of PHBV for bone tissue engineering. In: 7th World Biomaterials Congress. 7th World Biomaterials Congress, Sydney, (Abstract). May, 2004. Grondahl, L., Chandler-Temple, A. F., Luong-Van, E. K., Riding, A. S., Kumarasuriyar, A., Kenny, B., Cool, S. M., Nurcombe, V., Whittaker, A. K., Cassady, I.A. and Trau, M. (2003). Biodegradable polyester materials: Uses in bone regeneration. In: 26th Australian Polymer Conference. 26th Australian Polymer Conference, Noosa, (Abstract). July, 2003. Chandler-Temple, A. F., Grondahl, L., Trau, M., Cool, S. M. and Nurcombe, V. (2003). Surface modification for PHBV for enhanced biocompatibility. In: 13th Annual Conference of Australian Society for Biomaterials. 13th Annual Conference of Australian Society for Biomaterials, Brisbane, (Poster). March, 2003. Lawrie, G. A., Battersby, B. J., Grondahl, L., Tam, T., Lorentzen, M. and Trau, M. (2003). To stick or not to stick: Surface modification of colloidal nanoparticles to control interparticle associations. In: 11th International Conference on Surface and Colloid Science. 11th International Conference on Surface & Colloid Science, Brazil, (Abstract). September, 2003. Trau, M., Saville, D. A. and Aksay, I. A. (1996). Field-induced two- and three-dimensional colloidal crystals. In: 1995 MRS Fall Meeting & Exhibit, Boston, MA, USA, (153-153). 27 November-1 December, 1995. Sensors. Special issue: "Biomarkers and Nanosensors: New Approaches for Biology and Medicine"
Rapid detection and quantitation of Campylobacter jejuni/coli in processing. Does prostatic manipulation result in increased numbers and clusters of circulating tumour cells?